Declararse en quiebra o en bancarrota es una decisión compleja. Puede parecer que tomar este camino implica que su mundo se derrumba a su alrededor. Sin embargo, la bancarrota no significa que todo el peso del mundo recaerá sobre usted. Por el contrario, al declararse en bancarrota el peso de la carga de sus deudas se anula, y tiene usted la oportunidad de un nuevo comienzo. Por supuesto, esto no significa que la bancarrota no tiene inconvenientes. Entonces, ¿cómo afecta la bancarrota su calificación de crédito? ¿Es la bancarrota la decisión correcta para usted? A pesar de que la decisión puede parecer negativa, es importante recordar que la bancarrota implica la anulación de la carga aplastante de la deuda. Si para una persona el pagar la deuda de la tarjeta de crédito se convierte en una lucha constante, el perder el acceso a esta carga puede permitirle aprender a manejar sus finanzas sin la necesidad de acceder a este servicio. Una de las mejores maneras de considerar la bancarrota es enfrentando la realidad de su actual situación financiera. Pregúntese si podría pagar la totalidad de la deuda en un plazo de dos años, en 24 cuotas. De no ser posible, ¿acaso prefiere arrastrar una deuda inservible y recibir golpes continuos en su calificación crediticia? O por el contrario, ¿prefiere aceptar que debe restringir sus finanzas, ahorrándose la tortura y la carga de vivir en una pesadilla de deudas donde ni siquiera puede pagar los intereses mensuales? Como se mencionó anteriormente, al declararse en bancarrota, bajo los capítulos 7 y 13, su calificación de crédito se verá afectada. Sin embargo, esto no significa que la bancarrota no sea su mejor opción. Tampoco significa que declararse en bancarrota necesariamente destruirá su crédito, ya que este proceso puede ser la ruta más rápida para mejorar su puntaje crediticio. Eliminar la carga de estos tipos de deudas puede ayudarle a tener un nuevo comienzo financiero y a aprender a tomar mejores decisiones económicas, lo que le llevará a tener una mejor calificación crediticia en el futuro. Si se encuentra hundido en un mar de deudas y quiere proteger sus bienes ganados con tanto esfuerzo, necesita tomar medidas para mejorar su calificación de crédito. Es importante, además, que se comunique inmediatamente con un abogado experimentado en bancarrota. La bancarrota no es el fin, ¡es la oportunidad de un nuevo comienzo! Llame a las oficinas de Patrick L. Cordero, abogado de bancarrota en Miami, para una consulta gratuita hoy mismo, al (305) 445-4855. This entry was posted in BANKRUPTCY, Spanish on March 19, 2019 by wpadmin. Having your home foreclosed on by your mortgage lender is an experience no one should have to face. But what happens if the lender foreclosed due to a mistake with a loan modification application? If this has happened to you, you may be the victim of wrongful foreclosure. Here is everything you need to know about loan modification mistakes and how to fight back when the bank makes a mistake and wrongfully foreclosure on your property. When a home is foreclosed on using improper methods, this is what is known as a wrongful foreclosure. Generally speaking, most wrongful foreclosures are the result of miscommunications between a borrower and a lender. Often, wrongful foreclosures involve lenders such as banks using unethical, inappropriate, or intimidating tactics in an effort to take away the homeowner’s property. Loan modification mistakes are one of the leading causes of wrongful foreclosure in Florida. When homeowners seek their loans modified to meet their current economic realities, occasionally the mortgage servicers who deal with these applications make crucial mistakes, which in turn result in wrongful foreclosures. Telling homeowners they cannot apply for a loan modification unless they are in default – During the economic crisis of 2008, many lenders erroneously told homeowners they could not modify the terms of their loans. Today, this continues, but in many instances the banks are incorrect. Not processing loan modification applications in a timely manner – In many cases, homeowners are left waiting for far too long by loan servicers, meaning their financial issues are not addressed and they may be subject to foreclosure. Under a federal law passed in 2014, loan modification applications must be reviewed, and a determination made within 45 days of the receipt of the application. If additional documentation is required, the servicer has five days to notify the homeowner. Calculation errors – Occasionally, mortgage servicers make an incorrect calculation regarding a mortgage loan. If, for example, the servicer wrongly calculates net present value (NPV), a foreclosure could begin. NPV refers to the estimated value of the loan to the investor lending money to the homeowner. If the NPV is determined, the situation would be more advantageous for the investor if the home is foreclosed upon over a loan modification and foreclosure may be imitated. Because of the ramifications, these common errors can have on homeowners, if you believe your loan modification application was denied through an error, you need to talk to an experienced real estate and foreclosure attorney today. If you have been foreclosed on by your lender, but feel that their actions are unjust, you should contact an experienced attorney to discuss your case right away. Wrongful foreclosures due to loan modification mistakes are no laughing matter and can have massive implications for your future. Call the Law Offices of Patrick L. Cordero for a free consultation today at (305) 445-4855. This entry was posted in BANKRUPTCY on March 18, 2019 by wpadmin. Filing for bankruptcy is often a tough decision to make. However, with rising debts and difficulties making important payments, it may be the best chance an individual has at getting their financial feet back under them. But what happens to the funds of those you love, especially those of your children? Are they safe? Is your child’s college savings account protected in bankruptcy? In many states, including Florida, parents and others are encouraged to open savings accounts to help pay for their children’s higher education. These tax-advantageous accounts are commonly referred to a 529 plan accounts. These plans are named 529 after the section of the IRS tax code where they are outlined. These prepaid and savings plans offer a range of investment and financial breaks for those who deposit into them. But what happens during bankruptcies? Are College Savings Accounts Protected in Bankruptcy? When filing for bankruptcy, many people are concerned about how bankruptcy may affect their children’s savings plans – and for good reason. After all, why should the children be forced to suffer for financial issues related to their parents? Any monies added to a 529 savings plan account in the two years prior to bankruptcy are fully protected from seizure by the creditors. If the debtor has been depositing funds into a 529 account over the course of one or more years, but files for bankruptcy two years later, the funds in the 529 are partially protected from the creditors. The first $5,000 deposited into the 529 accounts are protected in bankruptcy, but the remaining funds become subject to seizure by creditors. If a person attempts to immediately deposit funds into a 529 account prior to filing for bankruptcy protection, this action will likely be deemed an illegal transfer of assets and the bankruptcy trustee may demand the individual hand over that money to the court. Because of the often-confusing nature of what is – and isn’t – protected during a bankruptcy, it is essential that you speak with an experienced and knowledgeable Florida bankruptcy attorney before you file. This is even more important should your child’s college savings be on the line. At the Offices of Patrick L. Cordero, we’re proud to be the largest bankruptcy law firm Florida. We offer personalized attention to every client and understand that each situation is unique. If you’re considering bankruptcy, having an experienced attorney on your side is crucial. Trust the Lawyer of the Decade, the Minority Lawyer of the Year, and the Largest Bankruptcy Firm in Florida, and we’ll work to get you the best possible financial outcome. Trust in the experienced and dedicated legal team at The Law Offices of Patrick L. Cordero to help you. Call for a free, no-risk consultation today at (305) 445-4855. This entry was posted in BANKRUPTCY on March 11, 2019 by wpadmin. When a person files for bankruptcy, they are hoping for the stress of insurmountable debt to disappear. Depending on which type of bankruptcy protection they file, how that debt is repaid differs greatly. One of the key components of settling debts in bankruptcy is the value of the assets. But, what exactly is defined as an “asset“ when filing for bankruptcy protection? 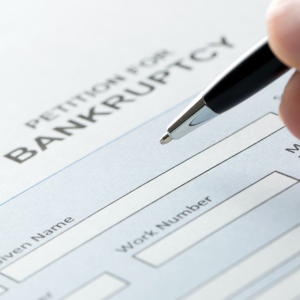 When an individual files for Chapter 7 bankruptcy protection, they are filing for the purpose of protecting themselves from creditors which can take control of their assets and liquidate them to help raise funds to satisfy the debts which have accrued. The debtor has the advantage of protecting their assets, but the debtor has to be aware that certain assets may be subject to liquidation by the trustee including any personal property the individual owns, such real estate interests, business or intellectual rights, and other intangible or tangible assets. In that case, a Chapter 13 filing would be more proper. The trustee of a Chapter 7 bankruptcy is also entitled to assets which may not be in the possession of the individual filing at the time of their declaring bankruptcy. For example, if the person has a right to receive an asset, that asset becomes part of the bankruptcy estate, even if that asset has not yet been acquired. Furthermore, the bankruptcy estate is entitled to the appreciation in any value from property held by the estate during the bankruptcy, and any revenues or profits generated by property held by the estate, such as rental income, investment dividends, or intellectual property rights fees. While bankruptcy generally includes all property a person owns at the time of the bankruptcy, property or assets obtained after filing for bankruptcy are generally not held as property of the estate. The only exceptions for this rule are for inheritance acquisitions, marital settlement agreements, or life insurance and death benefit payments. When an individual files for Chapter 13 bankruptcy protection, their assets are protected, and if the asset, such as a home, is being paid directly to the bank, it will not be subject to any foreclosure or related collection process. Unlike a Chapter 7 bankruptcy, however, under Chapter 13 bankruptcy, all the person’s debts are listed and the debtor has the benefit of eliminating or presenting a plan to pay the subject debt in a manner reasonable to the debtor. During this repayment period, creditors cannot foreclose on the individual’s home or move to have their car or other assets repossessed. In a Chapter 13, creditors are paid form the income that remains after paying their necessary living expenses. At the Law Offices of Patrick L. Cordero, we are proud to be the largest bankruptcy law firm in the entire state of Florida and third in the United States. Offering personalized attention to every client, we truly understand that your situation is unique. If you are considering applying for bankruptcy protection, regardless of the type, having an experienced lawyer on your side can go a long way. Trust the Lawyer of the Decade, the Minority Lawyer of the Year, and the Largest Consumer Bankruptcy Firm in Florida, and we’ll work to get you the best financial outcome possible. Trust in the experienced and passionate legal team at The Law Offices of Patrick L. Cordero to help you. Call for a free, no-risk consultation today at (305) 445-4855. This entry was posted in BANKRUPTCY on March 6, 2019 by wpadmin. A pesar de que muchas personas han escuchado hablar de las cortes de bancarrota en los Estados Unidos, algunas no conocen lo que éstas son realmente. Las cortes de bancarrota estadounidenses forman parte de las cortes distritales, y tienen la autoridad de litigar casos específicamente relacionados con la bancarrota. Para conocer más al respecto, a continuación le presentamos siete datos básicos acerca de su corte local de bancarrota en el condado Miami-Dade. 1) Se encuentra ubicada en el centro de la ciudad de Miami. La corte de bancarrota del condado Miami-Dade está ubicada justo al lado del campus universitario Wolfson del Miami-Dade College, en el centro de la ciudad de Miami. La dirección de la corte es 301 North Miami Ave., Room 150, Miami, FL 33128. 2) Existen requisitos de entrada. Para entrar a la corte de bancarrota de Miami-Dade, es obligatorio presentar una forma de identificación vigente, válida y emitida por el gobierno, como por ejemplo licencia de conducir, tarjeta de identificación del estado, pasaporte o tarjeta de inmigración, y además presentar el pase emitido por el personal de seguridad de la corte. No se permite entrar con teléfonos celulares, dispositivos de grabación, cámaras o dispositivos electrónicos. Sin embargo, la corte tiene la potestad de otorgar permisos para ingresar con un dispositivo electrónico con una orden escrita por un juez que esté verificada por el Servicio de Alguaciles de los Estados Unidos. 3) La corte está cerrada los días de feriado a nivel nacional. Si tiene un problema en cualquiera de los siguientes días festivos y necesita los servicios de la corte de bancarrota de Miami-Dade, tiene que esperar a que ésta abra después del: Día de Año Nuevo, Día de Martin Luther King, Día del Presidente, Día de los Caídos, Día de la Independencia, Día del Trabajo, Día de Colón, Día de los Veteranos, Día de Acción de Gracias y Navidad. 4) Existen normas de conducta dentro de la corte. Toda persona que visite la corte debe seguir 20 normas de conducta específicas dentro de la misma. Las normativas son obligatorias y se aplican en todo momento, independientemente de si el juez está o no presente en la sala. Entre estas 20 reglas se encuentran: vestirse con traje de oficina o negocios, permanecer de pie cuando el juez se dirige a usted, no hablar cuando otra persona está hablando, referirse a cada persona en la sala por su apellido y abstenerse de fumar y comer, ya que los alimentos y bebidas están prohibidos en la sala de la corte en todo momento. 5) Existen otras dos cortes de bancarrota en el sur de la Florida. Conjuntamente con Miami-Dade, Fort Lauderdale y West Palm Beach forman parte del Tribunal de Bancarrota del Distrito Sur de la Florida. La corte de Fort Lauderdale está ubicada en East Broward Boulevard, Room 112, Fort Lauderdale, FL 33301. La dirección de la corte de West Palm Beach es 1515 North Flagler Drive, Room 801, West Palm Beach, FL 33401. 6) El asesoramiento crediticio es imprescindible antes de presentar una petición de bancarrota. Es obligatorio completar un curso de asesoramiento crediticio antes de presentar una petición ante la corte. La corte provee un aviso de advertencia sobre el curso que las personas deben tomar. La lista de proveedores aprobados que ofrecen el curso se puede encontrar en el sitio web de U.S. Trustee. 7) Los pagos en efectivo no pueden enviarse por correo. El tribunal acepta pagos por el monto exacto en efectivo, por giro postal o por cheque oficial o de caja; no se aceptan cheques personales. Para conocer las tarifas de presentación actualizadas, diríjase al resumen de tarifas de la secretaría de la corte (en inglés, Clerk’s Summary of Fees). Si tiene que declararse en bancarrota y necesita asistencia legal, no espere hasta el último minuto para buscarla. Las oficinas legales de Patrick L. Cordero, abogado de bancarrota en Miami, le darán la ayuda profesional que necesita. Llámenos hoy al (305) 445-4855 para una consulta gratuita y sin compromiso. This entry was posted in BANKRUPTCY, Spanish on February 10, 2019 by wpadmin. Bankruptcy doesn’t have to be a bad thing. Bankruptcy is your chance to break away from the burden of crushing debt and start your life anew. Fortunately, bankruptcy often comes with some lasting benefits such as improving a damaged credit score after filing. Here are three of the best ways to rebuild your credit after a bankruptcy. Coming off a bankruptcy can be difficult. Especially when it comes to getting credit. Because of this, rebuilding your credit with a secured credit card may be a great option for you. Secured credit cards are credit cards which are – you guessed it – secured. What this means is that you make a deposit into a savings account, which is tied to the card and opens a secured line of credit. Secured credit cards work by giving the holder of the card a line of credit equal to the amount deposited, minus fees. This means that if you were making a $500 deposit on a card with a $30 annual fee, your available line of credit would be $470. By making timely monthly payments you can slowly rebuild your credit score with these cards. Just make sure that you always pay on time and try to use your card for small purchases. A good rule of thumb is to only use between 10 and 15 percent of your line of credit each month. Secured loans are another great option for those looking to rebuild their credit after a bankruptcy. Secured loans usually come in two varieties and are generally offered by credit unions and other community banks. The first type of secured loan involves borrowing money against a deposit. You would need to deposit a sum of money into a savings account at the bank and borrow against that amount. However, the money deposited would not be available to you while you are paying off the loan. The second type of secured loan involves no up-front cash at all. With this type of secured loan, the money loaned to you by the bank is placed in a dedicated savings account, which will not be released to you unless regular payments are made. In return, the bank alerts the credit bureaus of any prompt payments made, thus raising your credit score. Having a family member or someone you know co-sign for a loan or credit card is a great way to rebuild credit. Co-signing can be tricky, however, as it places an immense amount of trust in you by the other person. After all, they are placing their credit score on the line in case you do not make the payments required of you. At the Law Offices of Patrick L. Cordero, we are proud to be the largest bankruptcy law firm in the entire state of Florida, third in the United States. Offering personalized attention to every client, we truly understand that your situation is unique. If you are considering applying for bankruptcy protection, regardless of the type, having an experienced lawyer on your side can go a long way. Trust the Lawyer of the Decade, the Minority Lawyer of the Year, and the Largest Bankruptcy Firm in Florida, and we’ll work to get you the best financial outcome possible. Trust in the experienced and passionate legal team at The Law Offices of Patrick L. Cordero to help you. Call for a free, no-risk consultation today at (305) 445-4855. This entry was posted in BANKRUPTCY on December 23, 2018 by wpadmin. No one plans to declare bankruptcy. But, as you move through life and expenses pile up, sometimes it becomes the best option. Traditionally with bankruptcy, student loans would not be included. However, with the right legal approach, you can not only get other debts forgiven, but also work on reducing or completely eliminating your student loan debts. So, what is the relationship between bankruptcy and student loans? Before declaring bankruptcy on student loans, let’s have a look. When it comes to student loan debt, bankruptcy has not always been the recommended solution. In fact, it wasn’t until the last decade that lawyers really started to use bankruptcy for this purpose. This is because student loans were usually considered “non-dischargable,” which meant they could not be considered for bankruptcy filings. Fortunately, when attorneys started questioning this, a new option became available for those with student loans. Looking at bankruptcy and student loans, the old way to consider whether they could be dismissed was to look at whether they caused “undue hardship.” Since the court system established a very high bar for this definition, most lawyers never even tried to get loans forgiven or dismissed. Fortunately, there are some creative ways around this. When declaring bankruptcy on student loans, the first thing to consider is how much of the loans actually went to paying for college expenses. In many cases, student loans include extra money for the cost of living, food, transportation, and other costs you might have during your education. In these cases, the burden of “undue hardship” becomes less important. Instead, simply identifying that these expenses were unrelated to education could be a path to including them in bankruptcy. Considering bankruptcy, student loans can be a major factor when filing. With many graduates looking at tens of thousands in student loan debts, it’s important that you not overlook this burden. And, with the right legal strategy, you can make sure these loans are looked at when filing for bankruptcy. Student loan debt bankruptcy is still a relatively new practice area, but here at the Law Offices of Patrick L. Cordero, we have been working with bankruptcy cases for over 30 years. With that experience, we work on the forefront of student loan forgiveness to ensure you can get the best outcome regarding your debt. At the Law Offices of Patrick L. Cordero, we are proud to be the largest bankruptcy law firm in the entire state of Florida. Offering personalized attention to every case, we understand that your situation is unique. And, we approach each unique situation to ensure you get the attention you deserve. If you want to consider declaring bankruptcy on student loans, having an experienced lawyer on your side can go a long way. With the right attorney behind your bankruptcy, student loans can become a thing of the past. And, since Patrick personally works on your case, you can be sure you have an experienced and passionate attorney on your side. Trust the Lawyer of the Decade, the Minority Lawyer of the Year, and the Largest Bankruptcy Firm in Florida and we’ll work to get you the best outcome possible. Call Patrick today for a free consultation at (305) 445-4855. This entry was posted in BANKRUPTCY, BLOG on November 7, 2018 by wpadmin. Can My Prenuptial Agreement Protect Me From Bankruptcy? A prenuptial agreement may seem like an ironclad way to protect your premarital assets after your wedding, allowing you and your spouse to predetermine who is responsible for what assets – and debts. But depending on your state’s laws, a prenup may give you little or no protection if your spouse files bankruptcy. Keep reading if you’re wondering can my prenuptial agreement protect me from bankruptcy? A prenuptial agreement allows a couple planning to wed the opportunity to declare assets and liabilities held by each party individually before marriage. Each party lists his assets and indicates how these assets will be handled during the marriage and in the event of separation or divorce. While prenuptial agreements are often contracted to protect premarital property, they may also include language specifying individual responsibility for debts incurred before the marriage. One thing that you have to know is that a premarital agreement can’t be verbal. This means that you do have to go through the steps of writing the agreement out. Both you and your spouse have to sign the agreement. That signature, however, is only valid if you both have time to read over the agreement. You both have to have time to understand and consider the terms of the agreement. For that reason, you shouldn’t wait until the last minute to take care of the premarital agreement. A prenuptial agreement is intended to stand in a court of law as a couple’s declaration of how property and liabilities will be handled during the marriage and in the event of divorce. While the Federal Uniform Premarital Agreement Act makes prenuptial agreements legally binding, this legal protection only applies to legal actions between the married couple. Therefore, premarital agreements offer no legal protection from actions taken by creditors during bankruptcy proceedings. While it is possible for one spouse in a marriage to file bankruptcy without the other spouse filing as well, there is no guarantee that the spouse who does not file will not be held responsible for repaying the filing spouse’s debts, and that includes spouses who had prenuptial agreements that separated their property and/or finances. If the debts leading to the bankruptcy were incurred by one spouse prior to the marriage and are held in that spouse’s name only, there may be no legal ramifications for the non-filing spouse. However, if the debts were incurred during the marriage, or the spouses live in a community property state, the non-filing spouse may be responsible, regardless. If your future spouse has a great deal of debt and is considering bankruptcy, there are two ways you can handle this. The first option is filing before the wedding. Filing for bankruptcy before the wedding is often the best option; however, some couples do not realize this or have time to complete it before their wedding day. Filing before the wedding simplifies the bankruptcy process. The person filing will report his or her income, debts and assets, and the court will only view those things. The court will not view the future spouse’s assets, debts or income. If you file before the actual wedding date, the court will handle the process in this way. Call the Law Offices of Patrick L. Cordero for a free bankruptcy consultation today at (305) 445-4855. This entry was posted in BANKRUPTCY on August 21, 2018 by wpadmin.